Businesses sell more with PayPal. Sign up for our complete payment solutions to accept credit cards and PayPal in Canada and around the globe. With one simple PayPal business account, you can now accept all major forms of payment. Whether you’re online or on the road, PayPal makes it simple. Start taking credit cards and PayPal. You can also get paid on eBay, send invoices online and take payments from mobile devices. Get everything from Standard plus take control of the entire payment experience and take credit cards by phone, fax, or mail order. Add PayPal to your checkout. When you add a PayPal button to your existing payment solution, you give your customers a faster, safer way to pay. In a few easy steps, they can speed through checkout using their PayPal account to pay with PayPal balance, bank account, credit card or Visa Debit card. *comScore online panel, Q4 2017. Analyzed shopping behaviour at 20 large merchant sites across categories, utilizing its 1 million US consumer panel. Checkout conversion is measured from the point where the consumer selects a payment type to completion of purchase within the same browsing session. Invoice fast. Get paid faster. PayPal business account lets you create and send detailed invoices in minutes using free templates customized with your logo. 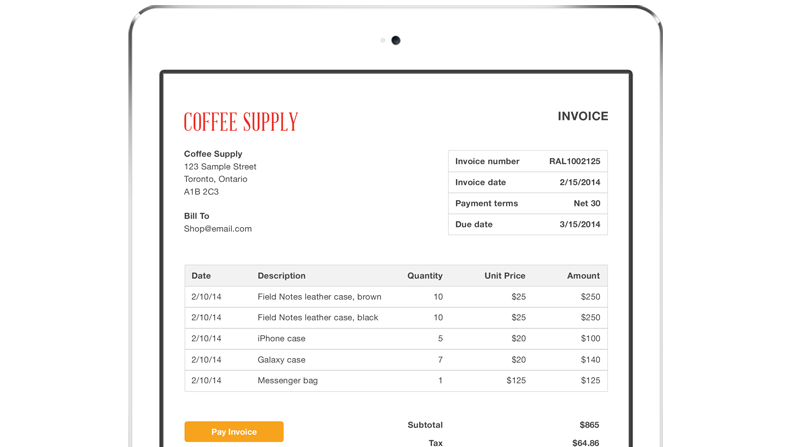 Get your money faster when your customers pay you directly from the invoice with a simple click of the PayPal button. 2.9% + $0.30 per domestic transaction and no monthly fee. See why small businesses are partnering with PayPal. All of your PayPal merchant services in one simple account. You're about to get started with PayPal Payments Standard. For complete design flexibility over your checkout experience, upgrade to PayPal Payments Pro for just $35 per month.